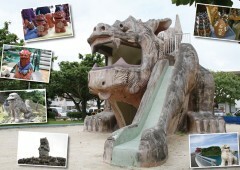 Urasoe City is located in the southern half of the Okinawa main island. 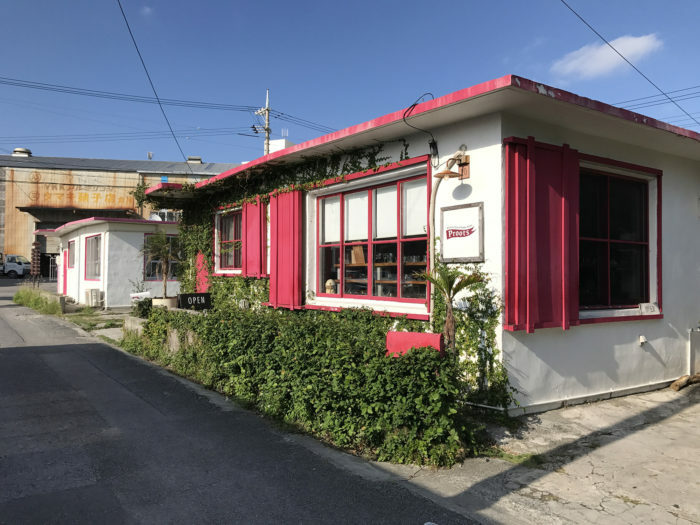 Though it seems overshadowed by its neighboring city, Naha, which is the prefectural capital of Okinawa, back in the old days Urasoe was an important region politically during the Ryukyu era. At one time, kings took residence at Urasoe Castle between the years 1200 ~ 1400. This was long before Shuri became the capital city of the Ryukyu islands. To this day, the people of Urasoe are proud of their community and long treasured history. The view from Urasoe Big Park. Before Sho Hashi, the 2nd King of the Ryukyu Kingdom, consolidated the island as one politically ruled country, the main island was divided into three main regions. 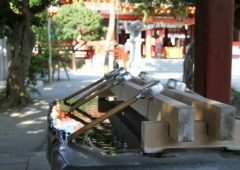 It is often said that Sho Hashi was the first king of the Ryukyu Kingdom. He was responsible for unifying the kingdom, however, he had appointed his father, Sho Shisho, as the figurehead first king of the new country. 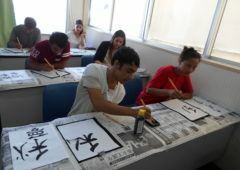 These regions were referred to as “Hokuzan (northern region)”, “Chuuzan (middle region)”, and “Nanzan (southern region). Urasoe Castle was the capital of the Chuuzan region. 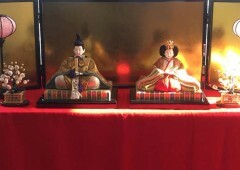 The kings that ruled from there were King Shunten, King Eiso, and King Satto. 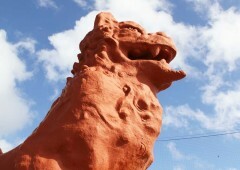 King Eiso was called “Tedako” which means “Son of the Sun” in the Okinawan dialect. Even today, Urasoe is called “The Town of Tedako”. Excavation continues around the Urasoe Castle Ruins. King Shunten also had an interesting aura surrounding his background. Legend has it that King Shunten is the son of Minamotono Tametomo, who was a royal samurai from Japan. It was said that Tametomo had drifted to the Ryukyu’s where he would later meet a woman who would have his child. 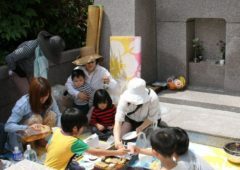 Tametomo eventually went back to Japan, leaving Shunten and the mother behind. Both waited for Tametomo back at the cave where they took temporary residence. 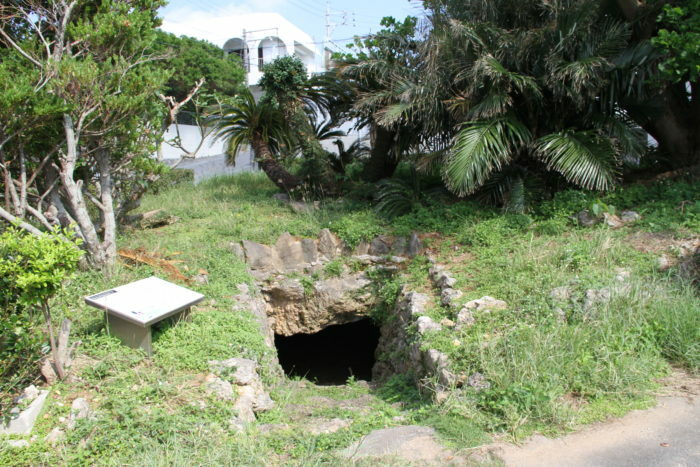 This cave is located in the now Makiminato District of Urasoe. It is widely believed that this name is a derivative of the words “Machi Minato”. The cave that the future king, King Eiso, and his mother waited in for Tametomo’s return. In Japanese, this translates to “waiting” (machi) “port” (minato) perhaps giving reference to the long wait the mother and the future king would endure. 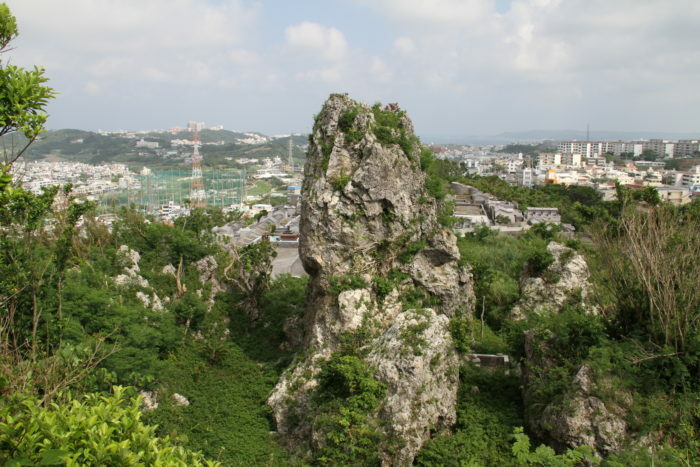 Additionally, a famous rock high up in the Urasoe Castle hills is also named after the famous samurai from Japan. The rock is named “Tametomo Iwa”, and sometimes called by Americans as the “Needle Rock”. The Needle Rock, an important landmark during the Battle of Okinawa. After Shuri became the capital of the Ryukyu Kingdom, some Sho royal family members stayed at the Urasoe Castle. 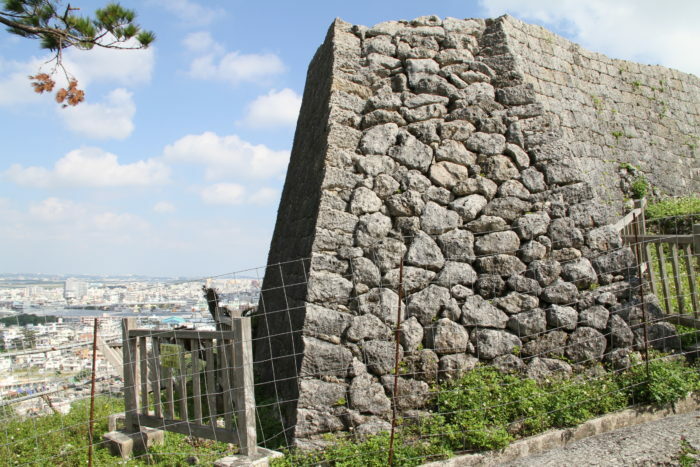 That is why King Sho Nei and King Eiso’s tombs (called Urasoe Youdore) are located at the Urasoe Castle Ruins instead of Shuri. The paved road of the Urasoe Youdore. Not all Ryukyu Kings are laid to rest at Shuri. 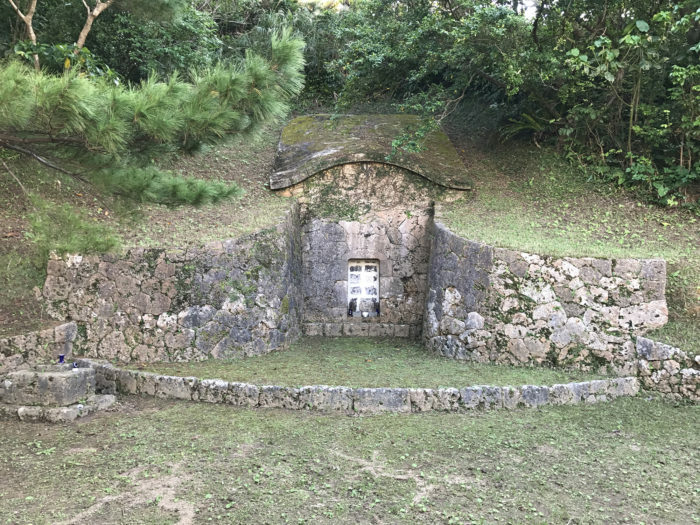 Some are entombed here at the Urasoe Castle Ruins. Sho Nei, in particular, lived at the Urasoe Castle for a very long time. He was responsible for making an official paved road to Shuri Castle from Urasoe Castle. 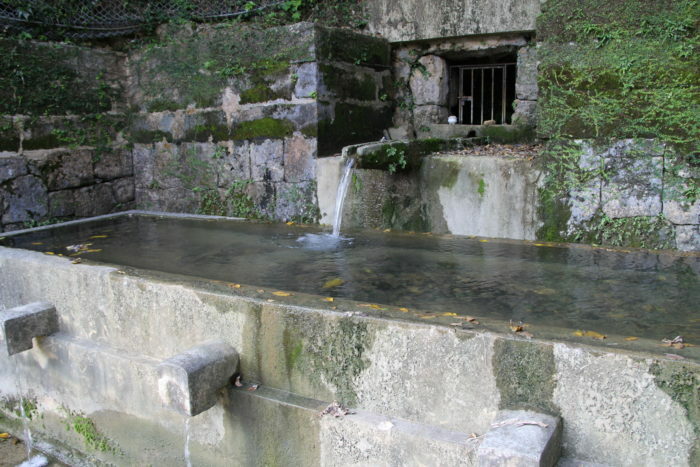 The Nakama Hiijyaa, an active water spring today in the Nakama District. 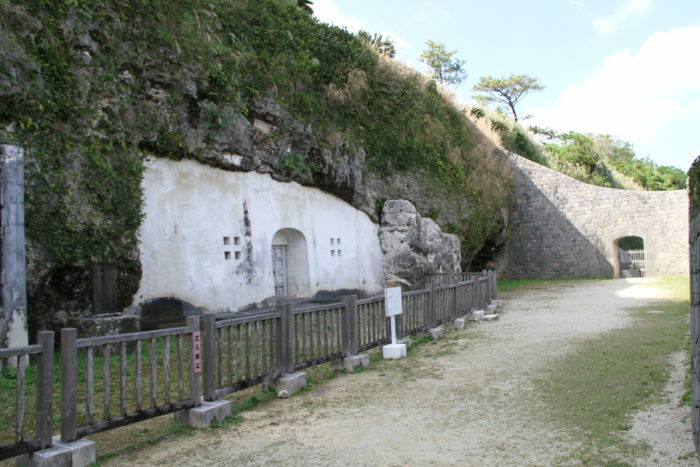 The tomb of Chokun Tamagusuku, located above the Maeda Tunnel. That road is called “Nakagami Housei Kaido” and parts of that road still exist today. Along this road was the Ahacha Bridge which was significant for traveling during that time and still exists today at the Ahacha District but has been partly rebuilt for preservation. The Ahacha Bridge, reminiscent of the old days during the Ryukyu Era. 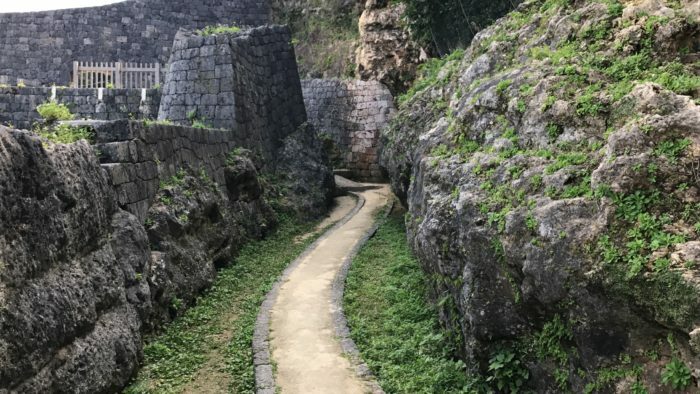 Urasoe Castle Ruins, is also the collocated with the famous “Hacksaw Ridge” from the Battle of Okinawa. Because of area’s tremendous height the castle grounds was also called “Maeda Kouchi”, kouchi meaning “highland”. It was the highest point of Urasoe City and the Japanese military stayed at the hill to prevent the U.S. military from attacking the Japanese headquarters at Shuri. This would be the ridge that the Americans would valiantly fight their way up to. There were many caves nestled inside the hillside where the Japanese army would fight and attack from. Many Urasoe citizens were killed during the war; it is estimated that more than half of Urasoe’s population had perished during that dreadful period. The view from the “Hacksaw Ridge” (Urasoe Castle Ruins). After the Battle of Okinawa, the U.S. Military took part of Urasoe City and made it into a military logistical base which is now Camp Kinser (formerly known long ago as Makiminato Logistical Base). And because it was a commuter area close to Naha, Urasoe became prosperous and its population expanded very fast after the war. 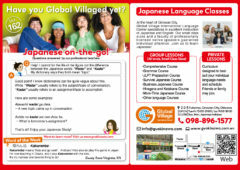 Within Okinawa, it is the 4th largest populated city while being 2nd in terms of its population density. Many head offices of large companies are located in Urasoe City. This includes Orion Beer, Okinawa Electric Company, Okinawa Toyota, and Ryukyu Nissan. 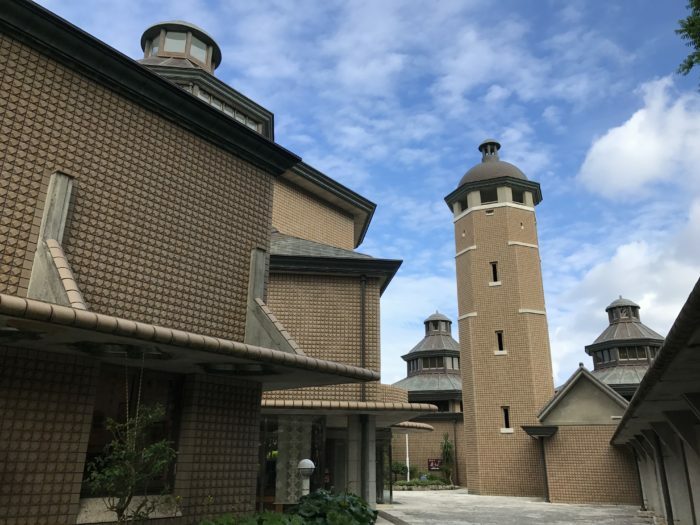 Additionally, many government facilities are located in Urasoe, such as the U.S. Consulate Naha, JICA (Japan International Cooperation Agency) Okinawa, the National Theatre Okinawa, and the Urasoe Art Museum. National Theatre Okinawa in Jitchaku, Urasoe City. 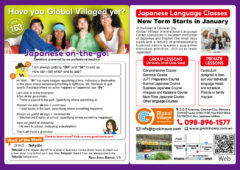 Recent trends include the development of the Minatogawa District. The “Minatogawa State Side Town” consists of old military housing buildings, more than 40 years old, which are now being used as shops. 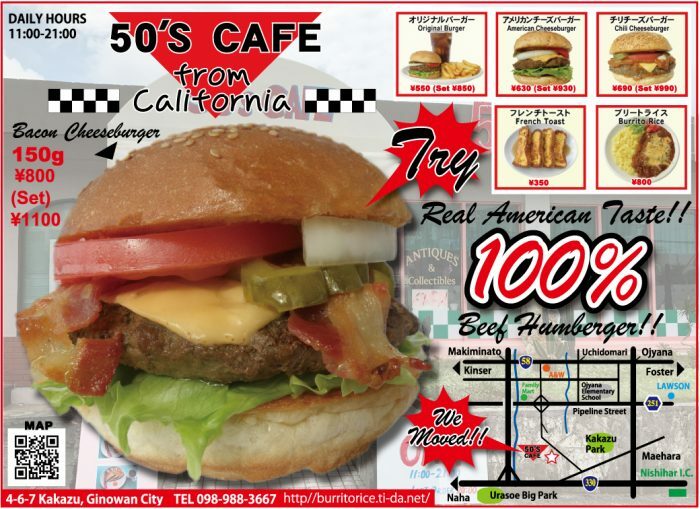 This area has gained in popularity over time with many tourists visiting this special hidden shopping spot. Minatogawa State Side, a recently growing popular shopping spot. Urasoe is gaining little popular with sports as well. The Yakult Swallows, a Japanese Professional Baseball team trains in Urasoe during spring camp (February through March), and handball has become a very popular sport within the city, from kids through adult, many who are top level in all of Japan. 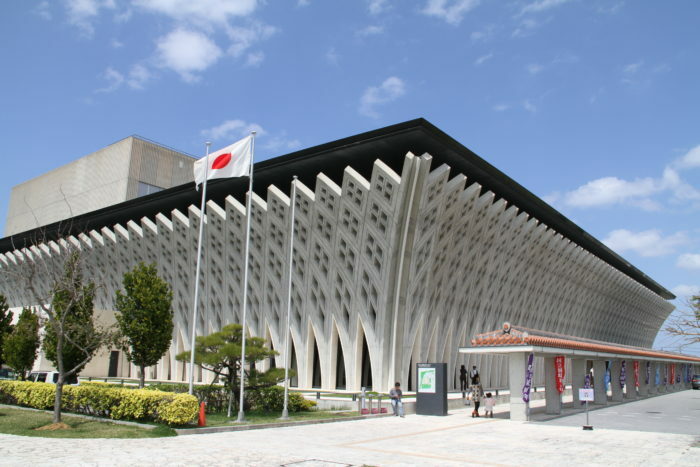 The Urasoe City Museum, a very modern and aesthetically designed artwork in and of itself. 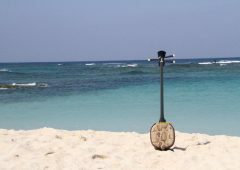 As far as the future of Urasoe, expect to see some changes. Route 58, running through Urasoe, is one of the most heavily congested areas. 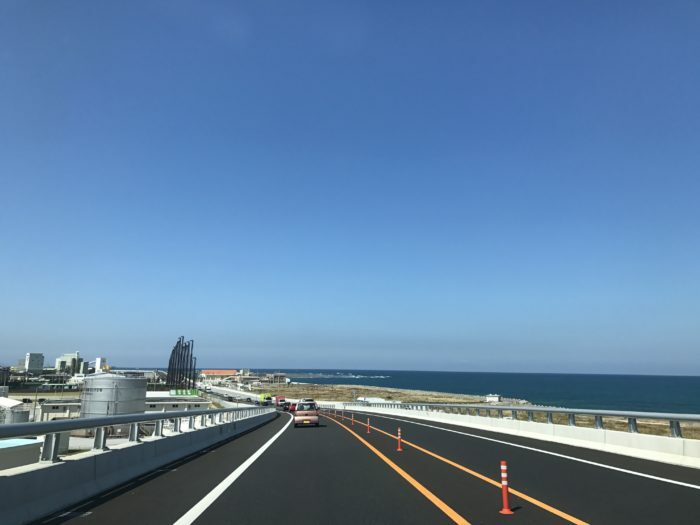 With the recent expansion of the Urasoe West Coast Road in 2018, traffic is expected to reduce quite a bit relieving pressure of the morning 58 traffic. 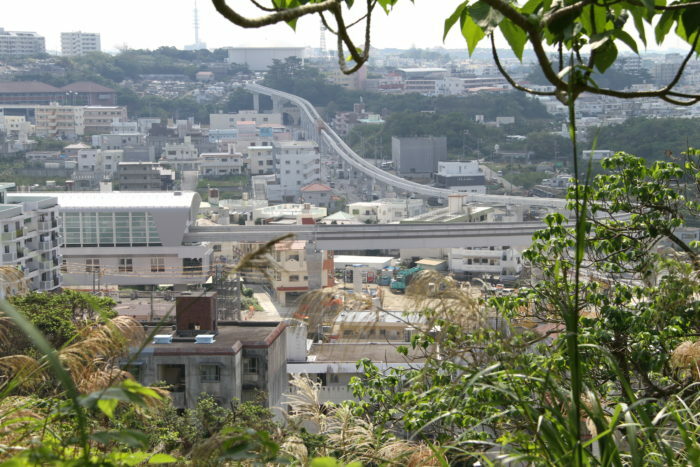 Also, Highway 58 is expected to become a 4-lane highway in the near future, and the Yuirail (Monorail) is scheduled to extend up to Urasoe City with stations at the Kyozuka and Maeda Districts and the final station at the Uranishi. All is should be completed in 2019. Lastly, the largest supermarket on the island, a San-A store, is scheduled to open in 2019 near Camp Kinser. 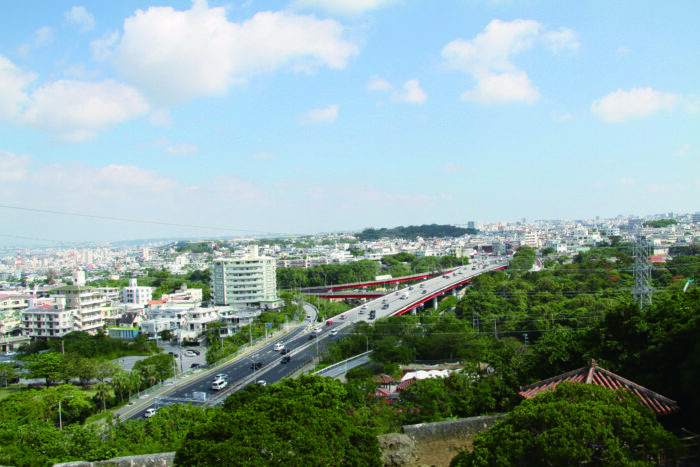 The Highway 58 road project in Urasoe is expected to ease traffic through the city. The Kaamiiji, shape of a Turtle’s head. 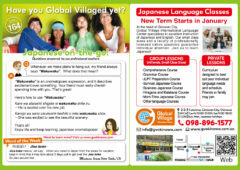 Urasoe has definitely grown and changed since its origins many centuries ago. It is a very exciting city with much to offer in terms of its history and future commercial prospects. 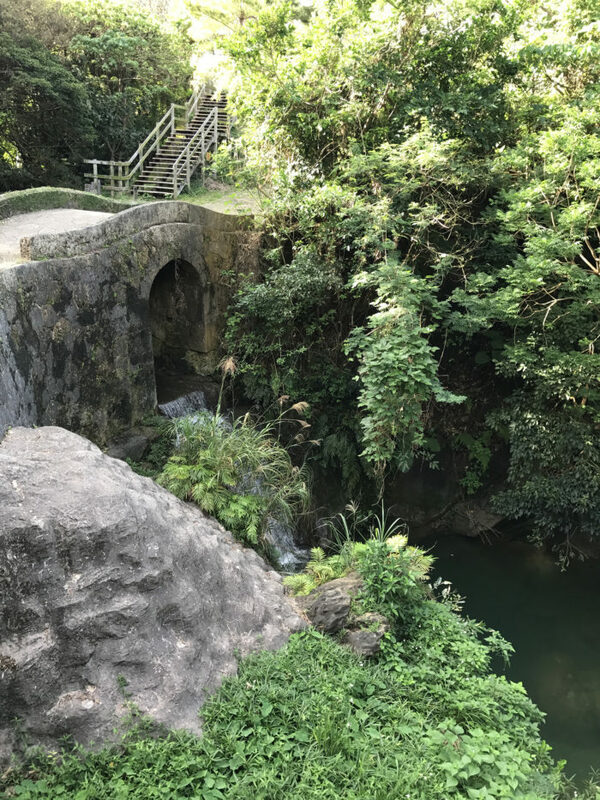 It is often overlooked by other well-known areas in Okinawa and gets lost in the conversation when it comes to Okinawa tourism. Look for new Yui-rail stations in Urasoe City. Opening up soon! However, if you look carefully, one can spot many special treasures hidden under the surface. 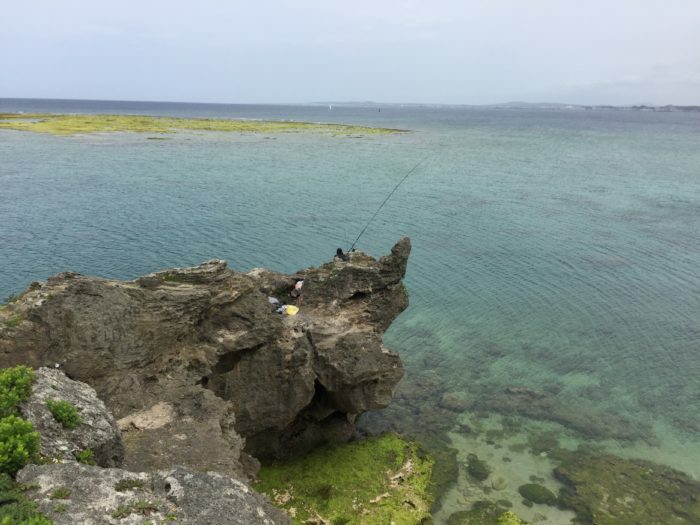 Urasoe, can sometimes be thought of a lost city right in front of our eyes, but once the blinders are off, one can truly see a remarkable sparkling gem within.